Looking for a new, custom built, home in the Oshkosh, Wisconsin area? PortSide Builders, the premier custom home builder in Door County and the Fox Valley, is currently constructing a 1966 Sq/Ft home located in the Bellhaven Estates Subdivision. This beautiful home offers a spacious floor plan with luxurious features and a full unfinished basement for future living space. For more details on this home or to schedule a tour, contact us at 920-727-4874 or 920-426-1544. 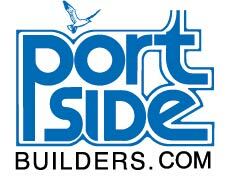 You can also visit www.portsidebuilders.com for more information. From our initial contact to signing the final papers, we enjoyed wonderful working relationships. Thank you for operating a business that employs staff of such character and quality. We are proud to tell others that we have a PortSide home. We had a great experience with our kitchen remodel. All aspects went smoothly and we are so happy with the results. Everyone was awesome to work with and we would highly recommend your company. In addition to PortSide building our house in 2007, this project was the fourth one they done for us. We keep coming back to PortSide for good reasons. They are customer focused and responsive, they stick to a schedule, and they perform quality work for a fair price. If we undertake a fifth project, we will definitely be contacting PortSide again.